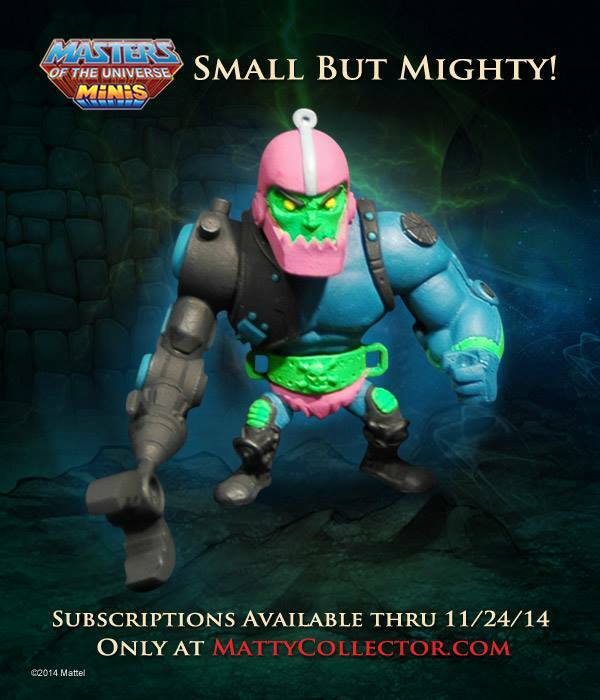 The Matty Collector subscription for the MOTU minis fell far short of its November 25th goal, and was only at 40% a few hours from closing. At this point fans have been left to speculate as to whether the goal will be waved and Mattel will attempt to make up the difference by making “day of” sales outside of subs. The alternative is to cancel the line and absorb the cost of the molds and design / sculpting that went into making the promotional prototypes. Until we get an announcement from Matty Collector these little guys stay in limbo.